Which Shoes? A Guide For Men #Infographic ~ Visualistan '+g+"
You’re dressed and almost ready to go out, but should you wear black Oxfords or brown brogues? Choosing the right shoes to wear can be a challenge. Do brown shoes look good with black trousers? Should you wear Chelsea boots with a suit? What shoes will impress at a job interview? 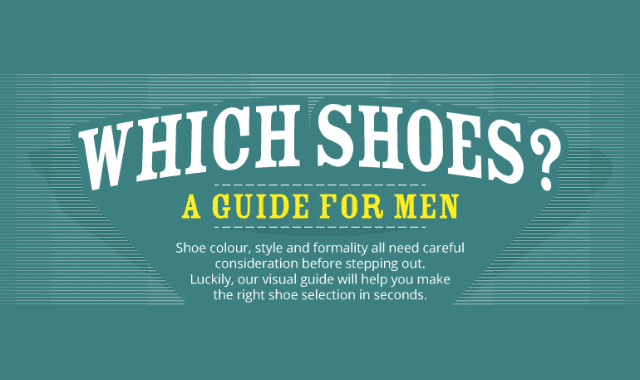 Read our guide for the answers and all the shoe choosing knowledge a gentleman needs.